It would appear that we’re not fans of Maybelline based on previous posts. If you’re wondering what I’m talking about and would like to get caught up, check out Ash’s Maybelline Eye Studio Master Precise Liquid Liner and my The Beauty Balm Series: Beauty Bomb or Da Bomb? posts. 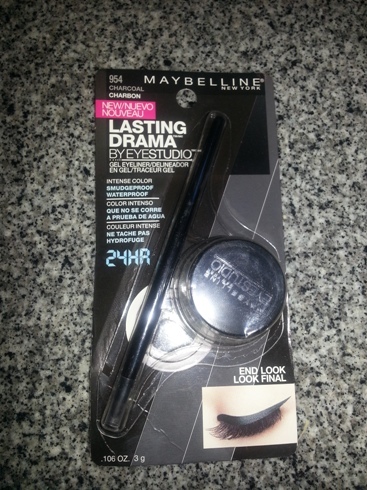 So maybe this time around Maybelline redeems itself? Okay, I tried to avoid it but here it comes…. Maybe it’s Maybelline! Who’s on a roll? THIS GAL! Anyway, I have been using Maybelline EyeStudio Lasting Drama Gel Eyeliner for a while now and I’m quite happy with it. I personally find it easy to apply and lasts longer than liquid eyeliner. I somehow always manage to smudge the liquid liner with my impatience. Or maybe it has something to do with my oily eyelids? Whatever it is, I prefer gel eyeliner. So, I shall share my feedback with you! The consistency is thick (aka gel-like) and dry (as in not thin and runny), but it goes on smoove like budda. It’s almost like kohl eyeliner. I haven’t really tried any other gel liners since I’d like this one from the beginning. As I mentioned; I apply it in the mornings and it remains until the end of my work day – through all trials and tribulations of oily eyelids. I’d like to say it’s smudge-proof, but if you’re someone like me who ALWAYS gets something in your eye (#1 culprit: an eyelash) and then you end up trying to rub it delicately… Well I’m sure you know that doesn’t always work. 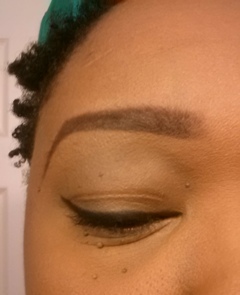 Other than that, if you can keep your eyes hands-free, the liner would last all day. You don’t end up with liner all over your eye area, if that is a concern. As expected, the brush needs to be cleaned after a few uses since the product would coagulate making its use very tricky. 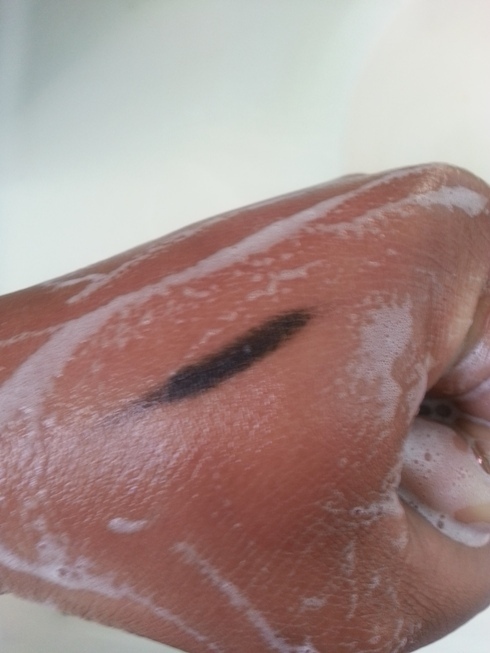 If it isn’t cleaned after a few uses, the brush gets very stiff but with a quick swoosh in some warm soapy water it’s good as new. This product can last for months but if you notice it getting gunky don’t throw it out! Just blowdry it for a few seconds and it returns to the consistency you want. Since it comes in a little glass jar, it’s quick and easy. The brush can be kept for use even after the product is done (if you decide to try another eyeliner product that isn’t sold with a brush). Bonus. This product sells for $12.99(!!!) regular price at Shopper’s Drug Mart or if you’re close to a Wal-Mart you can get it for a couple bucks cheaper (usually around $7.99 or $8.99). Because I’m a Diva On A Dime, I purchase this item on sale at Shoppers because there isn’t a Wal-Mart close by. 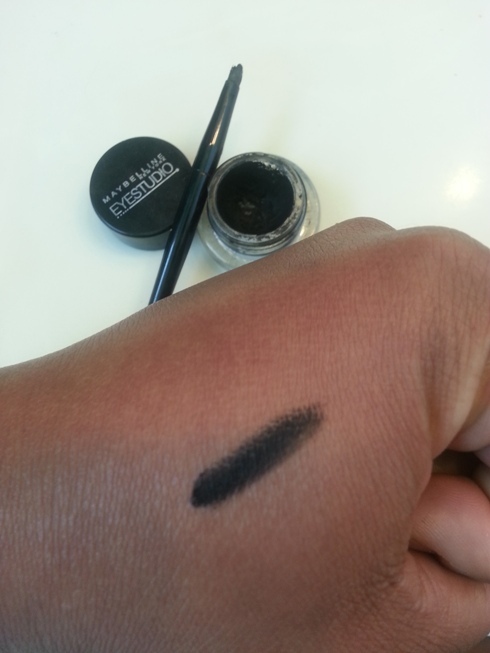 Have you tried this gel liner? Or what is your favourite? I know some swear by MAC Fluidline, but I find this works just as well and is a bit cheaper. Share your comments! ” Now that eye have your attention” Bahaha…so PUNny. I bought a Maybelline gel liner a while back and abandoned it because it has silver sparkles. Me no likey sparkles. I will definitely be trying this one as it seems to be just a beautiful inky black. I also love that it comes with a brush. Lastly , can we have a minute for those brows of yours? Perfection. Oh my… thank goodness there is no sparkley now. EEP no thanks! Thanks for the eyebrow shout out! They thank you. I am so excited to try this product, Chris! I love love love eyeliner and I haven’t tried this one yet. Thank you for the post and the pics! EEEEK let me know what you think Seph! Another excellent review! I’m such a big chicken when it comes to gel eyeliner and i figure one of these days I’m going to have to do it so it’s nice to know there’s some good products out there that can actually last long enough to make me feel like it’s worth the $$!!! Don’t be chicken – try it and then tell me what you think. Practice makes perfect anyway! I use…. hang on let me check… Line Exact by CoverGirl. Just because I don’t know the name of it doesn’t mean I don’t love it. I have gone through 5ish tubes already. 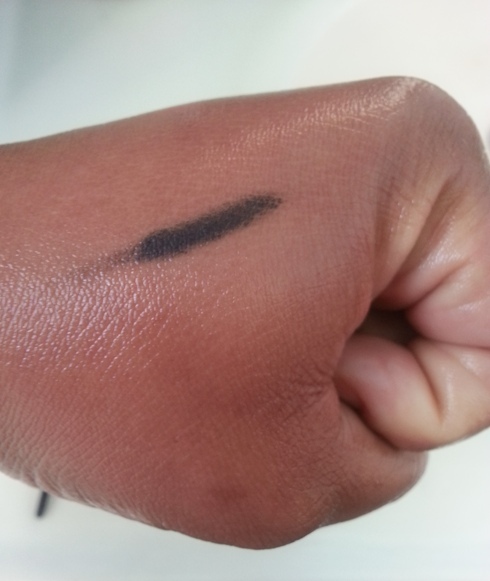 It’s a liquid eyeliner with a foamy applicator that is great for the winged part. Liquid liner with a foam applicator? I’m intrigued! 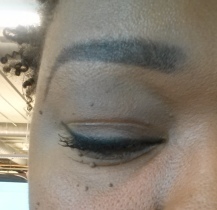 And I thought you not knowing the name just meant it was super duper long like the title of this gel liner! Thanks for the eyebrow love *blush* Gotta love youtube! I bought this a few weeks ago too! I love it so much. It’s so easy to apply and it lasts all day without smudging. Great review! Thank you so much! It’s a great product.